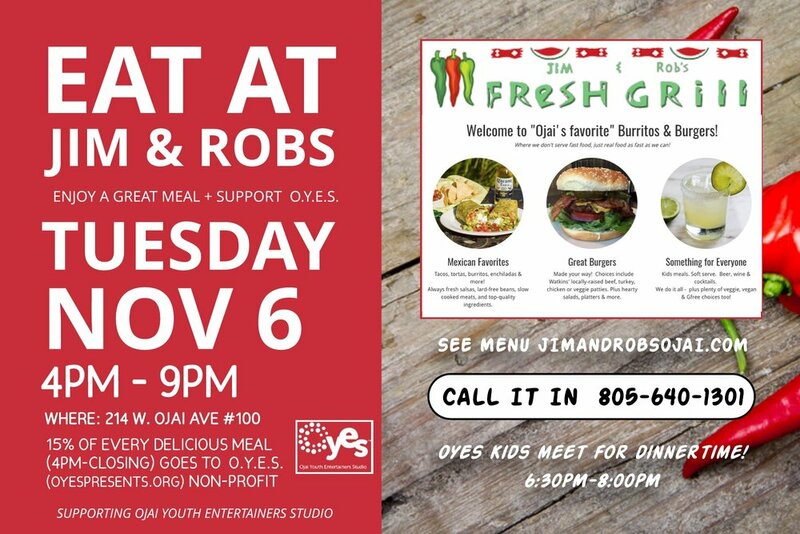 ENJOY A DELICIOUS MEAL FROM OJAI’S JIM & ROBS FRESH GRILL + SUPPORT OYES! 15% of every delicious meal goes to support OYES, a non-profit organization. (Does not apply to alcoholic beverages). Ugly Sweater Party at Topa Mountain Winery!